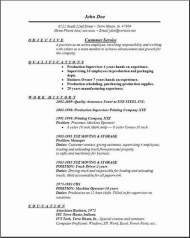 Easy to edit customer service resume templates that are less frustrating for you to use. Try these free customer service templates by editing them with your own job specific information. Three formats just waiting for your own personal touch. You can accomplish a finished professional resume in no time. You know the look that you want to create, so start now.This is very easy to do. Make sure to save it to your desktop so you will be able to find the resume file easily. 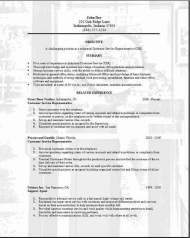 Then just start editing these provided resume templates with your own job history. You will probably be done completing your resume in 15 minutes or so. While you are editing try to make it your own by adding your personal touch to it. the companies you worked for--the dates of employment--and your education are all that you need to have in front of you before you start. Start it today while you are here, don't put it off. It will be fun to get accomplished what you came here for. Everything you need is here for you to find easily. Download instruction--click save--and save in Desktop--- using the same file name. You can edit it later and with it positioned on your desktop, then there is no problem finding it. These are 3 customer service resume formats people like to use when creating their resumes. All the examples are already formatted for you. They have a great look to them, but don't really garbage the resume up with non essential stuff. Over 3 hundred and some ways to refer to this page, try it now!. These examples make all of your information stand out, so the HR people won't have to get bored while looking for your qualifications. While they are first looking it over, they will see all your skills right away. That is a good thing so it doesn't end up in the trash can. You came here to get results didn't you? Well once you edit this resume with all of your own information that is exactly what you will get. You will accomplish on this quality website, finding and then editing a great resume you will be proud to turn in with your job application. 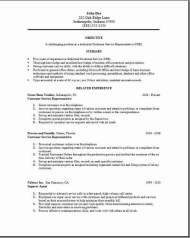 I hope you find these free customer service resume examples very useful. I also hope you get the job. Visit some of the other pages while you are here. Some people like a Chronological format, I do too. We are here to help you, and provide all resumes for free. If you can think of anything you want me to add to this website, send me your comment by visiting the contact us page. I would look forward to hearing anything you have to say on whether it helped you out or not. This site is dedicated to helping people find a resume and cover letter for free, and to do everything I can to assist you. You need to go ahead and look around at some other pages on this website so you can gather all the information you can to put together the strongest resume possible to get the interview. We need to add a job interview video in the near future, I think that is one of the most nerve racking times, so I will start that project soon. You can never get enough help when deciding the best way to calm your nerves. There is a lot of great information here for you to digest so look around. Dig through all the pages, until you find what you need. I will constantly be adding quality updates of items that may be of help, so check back often. I hope you have great success in your job hunt. Please send your friends. Don't forget your cover letter at the top of this page it's free too.